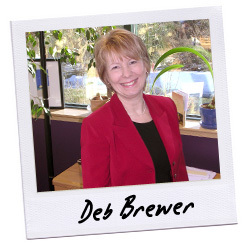 Deb founded CrystalVision in 1995. Her technical background and ability to communicate to clients without overwhelming them with the technology won CrystalVision many long-term clients. She has taken the company from a boot-strapped startup to a successful and growing company. A strong determination along with high ethics and morals have ensured that the company remains viable even through tough economic times. Deb continues to feel the internal drive and entrepreneurial determination to maintain and continue with CrystalVision's continued progress and success.